It's been announced that Pope Benedict XVI will visit the shrine of Our Lady of the Most Holy Rosary in Pompei on October 19th. Pompei’s Bishop Carlo Liberati said that the Holy Father will celebrate Mass at the shrine, and will entrust himself, as well as the Synod of Bishops to the Virgin Mary. The Synod takes place at the Vatican October 5th-26th. 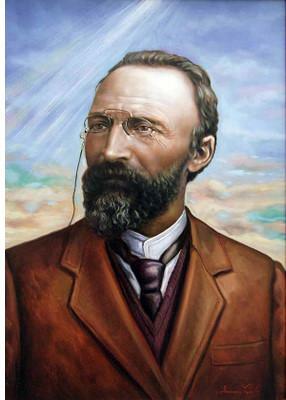 The Holy Father will also recite a Marian prayer written Blessed Bartolo Longo. Blessed Bartolo has a very special connection to the Rosary. This Italian holy man was actually a Satanic priest at one point in his life. Repenting of his ways, Longo became a lay Dominican and dedicated his life to Our Blessed Mother. His focus was the promotion of the great prayer of the Rosary. Pope John Paul II even descrbied him as the "Apostole of the Rosary."